WordPress is one of the most popular and widely used Content Management Systems and offers a lot of flexibility and expandability. But it’s not the only solution available out there as many other options can actually be more useful for certain type of users and situations. Although there is no shortage of web publishing platforms, WordPress and Wix remain two of the most popular platforms. This guide aims to help you choose between the two platforms as many users often get confused by their similar-looking features. However, the devil is in the details as there is a lot going on under the hood. Both platforms help accomplish the same goal, but their execution is different. Choosing between different platforms is particularly difficult for those who are new to website building and find it hard to decide on which platform should they invest their time and money. If we take web statistics and projections into account, there are roughly 60-75 million sites powered by WordPress, which is quite an impressive number (self-hosted/installable WordPress). So why look for another content management system when WordPress already offers a lot? There are several reasons behind choosing another platform as many users prefer ease-of-use over flexibility and don’t have time and resources to learn new platforms. WordPress is available as a SaaS WP Hosted and self-hosted/installable software with the latter being the most widely used version. That’s why it makes more sense to compare the self-hosted version with other platforms, which in this case is Wix. Most users are familiar with the installable version of WordPress available at wordpress.org that installs in a web server and can be downloaded for free. The WordPress hosted solution is available at wordpress.com for a monthly fee and is basically a SaaS (Software as a Service) just like Wix. The question remains why pay a monthly fee when you can download the software for free? That’s because the free version does not include hosting and other tools such as premium themes and plugins for which you have to pay extra. The monthly fee you pay at wordpress.com includes hosting and other essential features required in easily building a website. However, users who want to use hosting services of their choice and are looking for greater flexibility and expandability opt for freely available WordPress. One of the most important reasons behind WordPress being so popular is the fact that it is open-source and any one can get access to the source code. This allows users to customize the software according to their own specific requirements, which is particularly useful for large-scale website projects. Most users don’t feel the need to play with the source code, so it’s safe to assume that they are using the default installation. 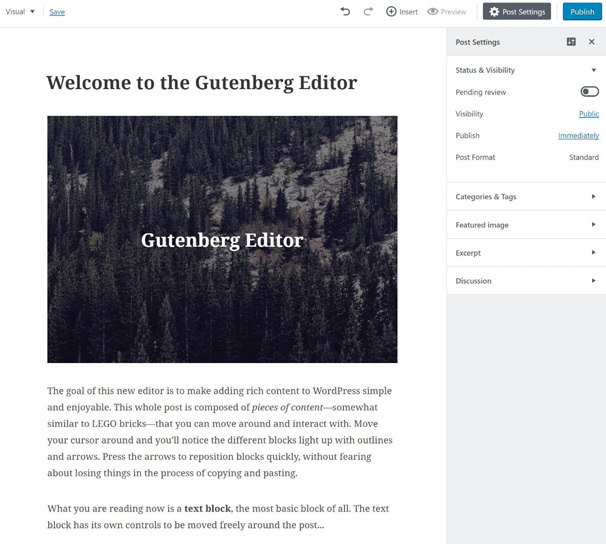 As WordPress is open-source software, it’s backed by a strong community of active developers that constantly work hard to improve the platform and release regular updates. What differentiates WordPress from other platforms is its ability to adopt according to different design requirements as it’s highly customizable and can be used for almost any website one could imagine. Thousands of plugins help extend the functionality and make it easier to automate different tasks, while many of these plugins are available for free. Thousands of paid and free themes allow users to customize the look and feel according to their individual requirements. That’s something not so easy to do when using most other platforms and a major reason why most users like sticking with WordPress. Wix has become one of the most popular website builders in recent years, thanks to its aggressive marketing efforts and exotic campaigns. It’s hard to establish the exact number of websites powered by Wix, but figures suggest it’s around 90 million. Wix is available at no cost if you can bear the advertisements and live with a non-customizable domain. 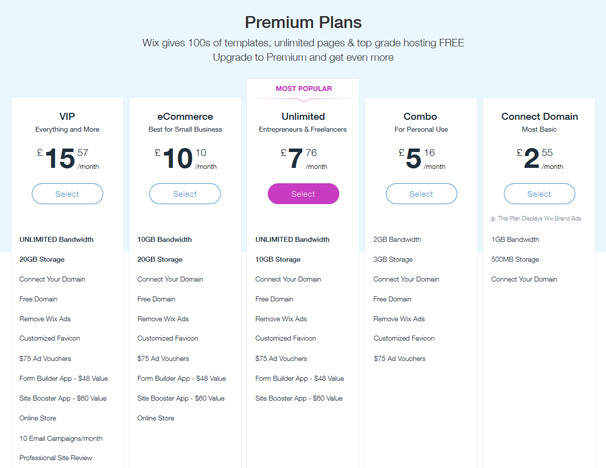 You have to pay a premium for professional features, no advertisements and using custom domains. Users who don’t know how to code find Wix very useful as it allows them to design beautiful websites without knowing any language. Not only Wix offers hundreds of professional and beautiful templates, it also comes with a code-free interface that makes it a breeze to start creating stunning websites. However, nothing is perfect and many users have complained about the lack of site-traffic reporting. The web-stats app tries to cover the gap, but it does not offer the functionality ‘proper’ site-reporting tools do. Wix also offers industry-specific designs and tools for small businesses, designers, photographers, musicians and more. Constant innovation is another factor that helped Wix gain so much popularity in a relatively short time span. The company releases new designs and tools regularly, most of which are a result of user requests and feedback. Artificial Design Intelligence (ADI) allows users to build a website using the AI program, which sounds futuristic but has its own limitations. Wix is a platform known to grow with its users and constantly keeps updating its tools and designs to ensure that users get great value for their investment and a more coherent user experience. Wix works well for users who want to start building their website right away and make it online quickly without dealing with the code. The intuitive interface allows them to accomplish more in less time without compromising on quality of the site. All a user needs to get started is an email account, which is required to register after which one can select a site template and start customizing the website. 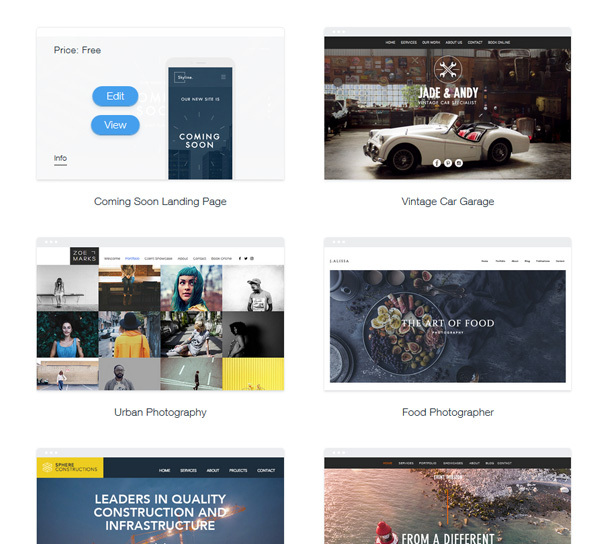 Wix offers top levels of templates that have their own sub categories. For example, bars, catering, etc. fall under the category of restaurants. There is no shortage of industry-specific templates to choose from, which also provide a preview of how a website is going to look on mobile devices. Editing templates is also simple and does not require any coding experience. A user can double click on an element and manipulate it easily using the drag-and-drop interface. The interface even recognizes right-click context menus that allow performing different operations as users normally would on their desktops. Considering the fact that most WordPress users rely on the freely available and installable version to build and maintain their websites, its logical to compare Wix with self-hosted WordPress. Wix is available as both a free and paid service, but investing in paid subscriptions makes sense for users who are serious about their website. The comparison between the two platforms has been divided into different sections that better help understand the key differences and determine which platform works best for you. Although users have different preferences when it comes to pros and cons of various platforms, the comparison gives a general idea of how things would work on both. WordPress is generally considered to be an easy-to-use content management system, but it’s not as simple as many other web publishing solutions such as Wix. Beginners and users unfamiliar with the platform may need to put in some effort to learn the platform and do some basic troubleshooting. WordPress also does not feature a drag-and-drop interface, so there are times when users would manually need to manipulate the code to do advanced customizations. A basic knowledge of HTML and CSS is required when building a website using WordPress, which is something many users and beginners don’t have. WordPress users also need to find a hosting provider themselves and install plugins for extended functionality. Despite lack of a drag-and-drop interface, WordPress is still not that difficult to get around and beginners can start using it after understanding the key concepts. While WordPress has its own limitations when it comes to ease-of use and learning curve, it offers greater flexibility and is scalable according to varying requirements. Readily available source code means advanced users and experienced developers can tailor the software according to their specific needs, which isn’t possible or too difficult to do on other platforms. Extensibility through plugins is another important factor why people choose WordPress over other more easy-to-use platforms. Compared to WordPress, Wix is fairly easy to use and almost anyone who knows how to use a mouse can start creating their website. The intuitive and clean drag-and-drop interface allows users to effortlessly design their website and makes the whole process painless. Wix Artificial Design Intelligence raises the bar even higher and revolutionizes the way we non-coders create websites. Wix provides a complete package that works right out-of-the box so users don’t have to mix and match different tools and plugins to get things done. Built-in templates with their own sub-categories allow creating industry-specific websites without any extra effort. The platform works well for designers, photographers and entrepreneurs who are often on a tight schedule and have no time to deal with code and troubleshooting. Wix also keeps adding new features and tools on a regular basis that make the job even easier for those who don’t have time to learn coding and want to get things done under tight deadlines. WordPress users are limited to forum support, which can be a hit or miss due to lack of official support. Although most questions get answered in a reasonable amount of time, many questions fall through the cracks or remain unanswered because they were answered in some other post. You need to keep in mind that no one would take responsibility to answer your query if something goes wrong, so you’ll be at the mercy of forum members or have to search for a solution at other platforms. While Wix offers a very easy to use interface, there may still be instances when a user needs help. That’s when official support proves its worth and helps users get around issues. If you cannot find answer to your question in the support center containing thousands of topics, walkthroughs and more, you can contact the support team directly for timely resolution of issues. 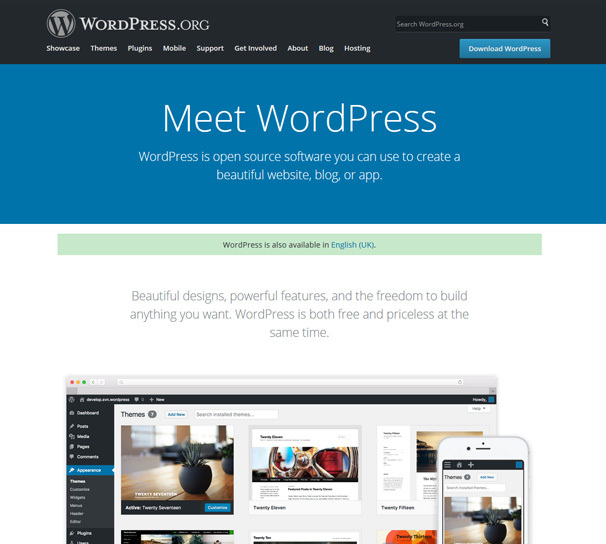 The self-hosted version of WordPress is available for free, but there are costs associated with hosting, premium plugins and themes and development. The actual costs can greatly vary according to tools and features you want to use, but on average a typical WordPress site initially costs around $150-200. Wix paid subscriptions start from $4.5/month and go all the way up to $24.50/month, which is quite expensive considering you are only getting 500MB storage and 1 GB bandwidth with the starter package. Although you’d get a lot of templates and tools to work with, they are not really useful when you don’t have a reasonable amount of storage space and bandwidth. That’s the area where other platforms struggle to compete with WordPress as it’s a far more flexible and scalable platform. WordPress allows creating almost any kind of website imaginable, whether it is a personal blog, a corporate website or a massive online store. Availability of thousands of plugins helps extend functionality and makes the platform very extensible. Wix offers limited flexibility and users are mostly limited to built-in tools to create and maintain their website. However, limited flexibility translates into better consistency and there are fewer chances that things would break. Wix users are still able to use many extensions, including free and paid, which are easy to install and manage. Moving your website from one provider to another is a very important factor to consider as one day you might need to change the platform. WordPress is based on the concept of freedom of choice so it makes it easier to transfer all the site content or store it elsewhere. Most subscription-based website builders want their customers to keep hooked and only allow exporting limited content. Wix is no exception and has even more strict policies than other providers. Once you publish your website on Wix, you cannot transfer it elsewhere. You cannot even embed your existing Wix website onto any other external site. The only options users are left with is to transfer their domain to Wix, connect their domain to its name servers or point their domain to their IP, which sounds unfair as customers should have the choice to transfer their website if they want to move to a better provider. 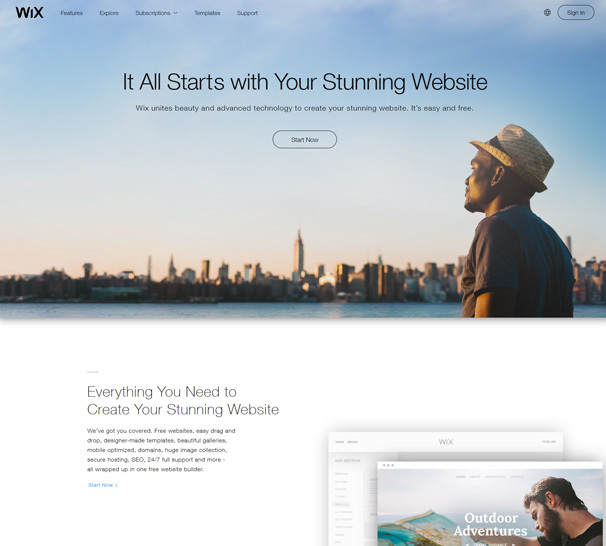 Wix is one of the most popular and easy-to-use website builder, but does not offer much in terms of value for the money. The subscription packages are expensive and offer little in return. You just get 500MB storage and 1GB bandwidth for $4.50/month, while the same money can get you a lot more. You also cannot move your website once you are in the Wix-net, so it’s better to consider all your options carefully before finally deciding the platform to use. Ease-of-use and official support are probably the most obvious reasons why one would prefer to use Wix over WordPress. However, the massive WordPress community is also always there to help you and it doesn’t take a lot of time to learn WP and start building your website. Next PostWordPress eCommerce Guide: Which is the Best Plugin to Use?